When it comes to backyards, the less space something takes, the better. It also goes for functionality. It’s great if an item can be used not just for one purpose, but for more. 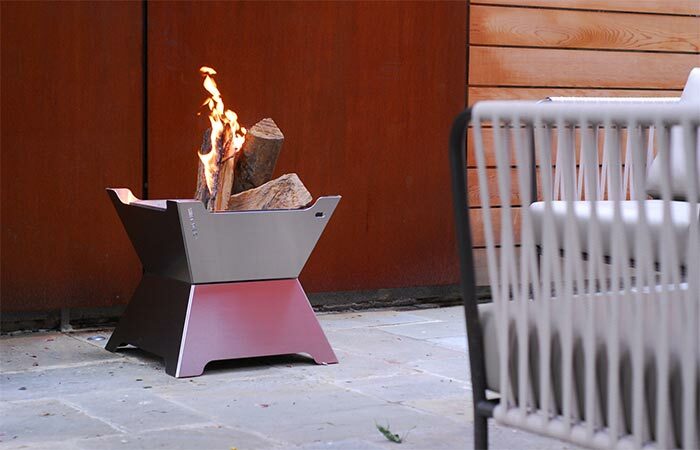 Shift Design came up with Funston– a fire pit that can be used as an ice chest as well. Fire doesn’t often meet ice, but in this case it certainly does. The body is made from stainless steel and has a depth of 20”. So, how do you use it if it has two totally different purposes? Basically, all you need to do is flip it, because one part serves as a fire pit and the other one as an ice chest. The wood tray is removable, so it’s easier to clean it after you’re done with making fire and want to use it to chill drinks. Funston is a fire pit on the one side and an ice chest on the other. It’s made of durable material and has plenty of space. The fire pit can fit multiple pieces of firewood. This means it’s easier to contain the fire. Also, if you don’t have a barbecue, you can improvise and put the grill over the fire pit, and it will perform just fine. When you’re hanging out with your friends, just flip the Funston, pour in ice and it will chill any drink. It can fit around 24 bottles or cans. Also, there’s a nice bottle opener incorporated into the design. 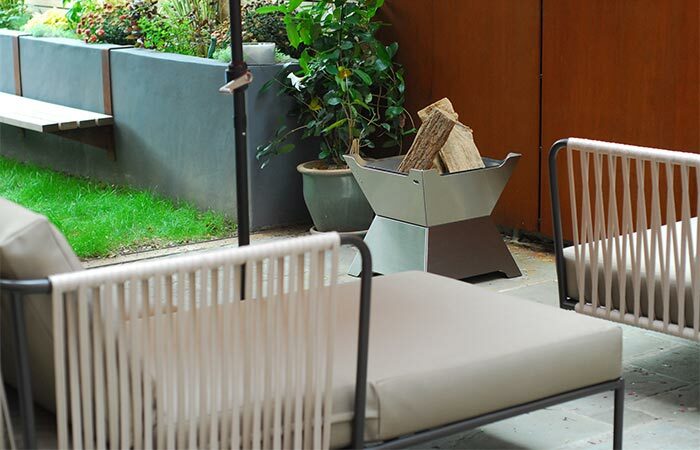 Funston designed to be modern and minimal, and it looks good in any backyard. With the minimal design, Funston will look great in any backyard, especially in contemporary homes. We must mention that Shift Design is a very ecologically aware company and they use components that can be 100% recyclable after its life cycle. Each product, including Funston, creates less than 3 percent waste throughout manufacturing.